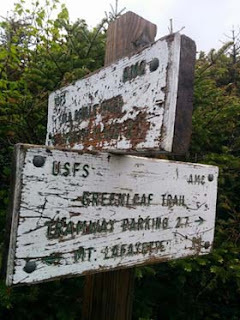 Every year the AMC's White Mountain Trail Crew replaces weathered or out-of-date trail signs with new ones. The old signs are collector's items, having guided thousands of visitors for many years along celebrated paths throughout the Whites. All proceeds from the auction will directly support AMC's trail maintenance efforts. This year's auction ended on Friday, 12/4 at 12pm ET. AMC's Trails team offered up some treasures this year, including signs from the Davis Path, Falling Waters Trail, Mt. Jefferson Loop, Airline, Buttress Trail, and Old Bridle Path.